Global Financial Crisis has revealed major weakness in the design and implementation of the existing economic governance framework of the European Union. In addition, the first temporary fiscal backstop is EFSF (The European Financial Stability Facility) as a temporary crisis resolution mechanism by the Euro area Member States. In this case, The EFSF does not provide any further financial assistance, so the task of EFSF being replace by the new mechanism that includes the establishment of a permanent crisis management mechanism as the safeguard against imbalances in individual countries that is ESM (European Stability Mechanism). Spain as one of the Eurozone Member States that fall on financial crisis caused by disproportionate growth in the real estate sector, along with the expansion of credit, on 25 June 2012 made an official request for financial assistance through ESM for its banking system. In accordance with MoU, Spain must conduct a structural adjustment program through identifying individual bank capital needs, recapitalising and restructuring. RAHMANITA, Nidya; MIRYANTI, Renny. European Stability Mechanism Sebagai Upaya Uni Eropa Menangani Krisis Finansial Spanyol. 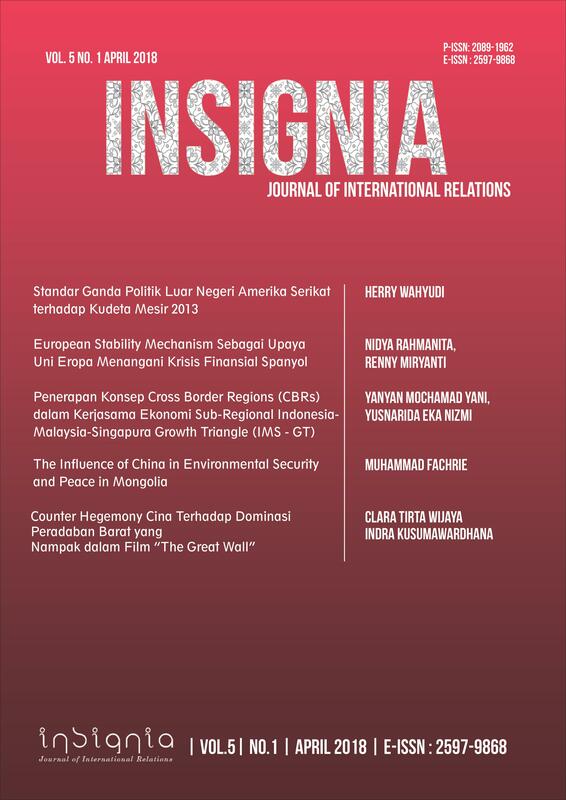 Insignia: Journal of International Relations, [S.l. ], v. 5, n. 1, p. 15-30, may 2018. ISSN 2597-9868. Available at: <http://jos.unsoed.ac.id/index.php/insignia/article/view/706>. Date accessed: 21 apr. 2019. doi: https://doi.org/10.20884/1.ins.2018.5.1.706.